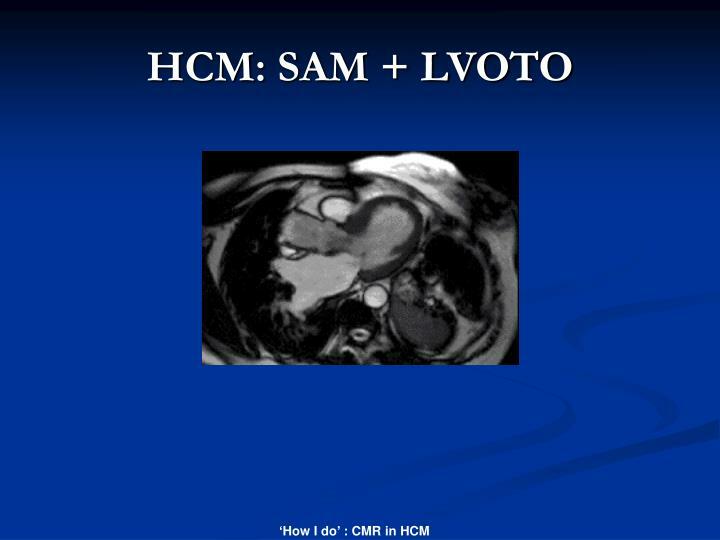 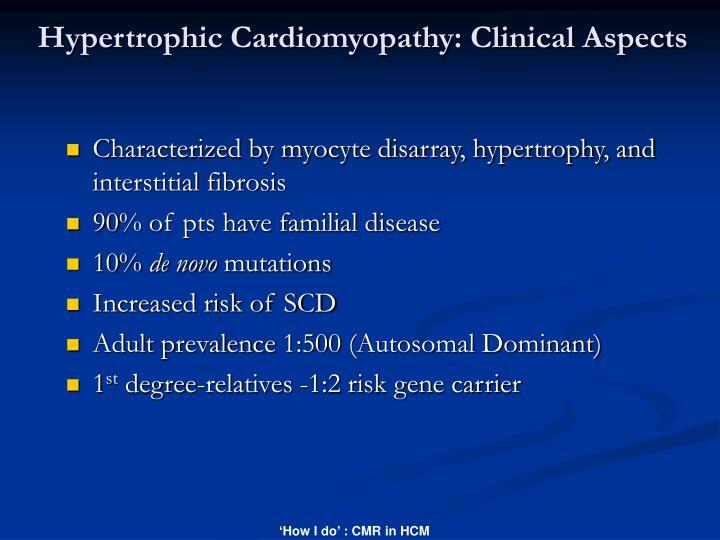 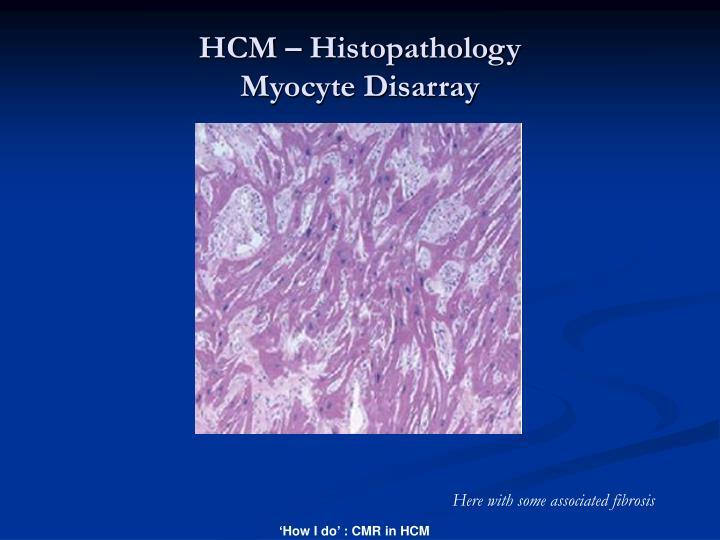 ‘How I do’ CMR in HCM. 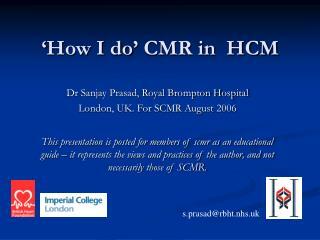 Dr Sanjay Prasad, Royal Brompton Hospital London, UK. 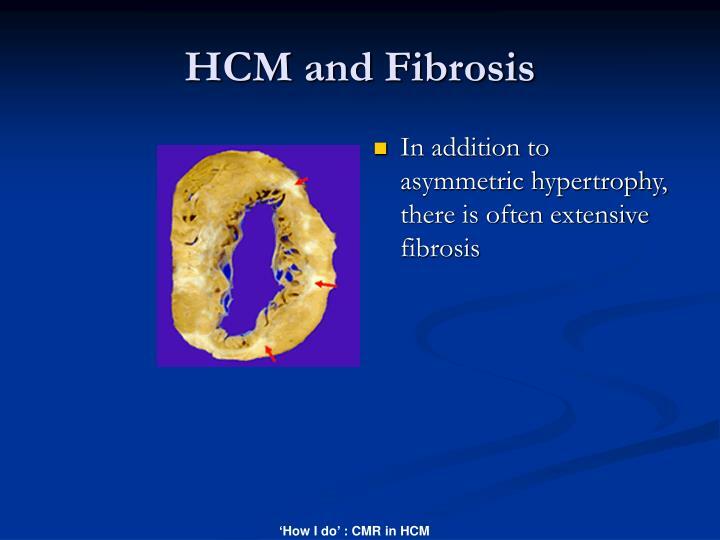 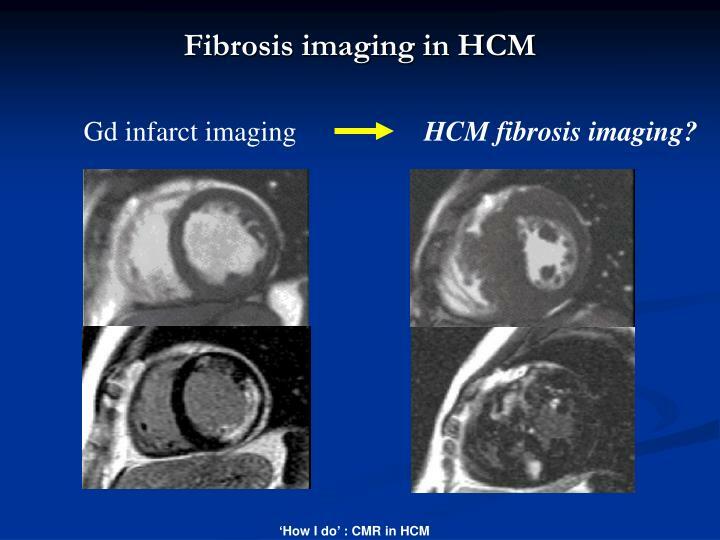 For SCMR August 2006 This presentation is posted for members of scmr as an educational guide – it represents the views and practices of the author, and not necessarily those of SCMR. . s.prasad@rbht.nhs.uk. 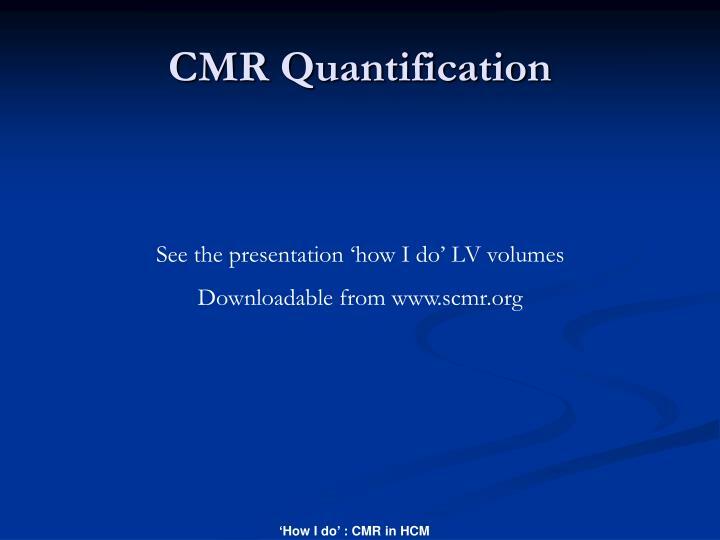 This presentation is posted for members of scmr as an educational guide – it represents the views and practices of the author, and not necessarily those of SCMR. 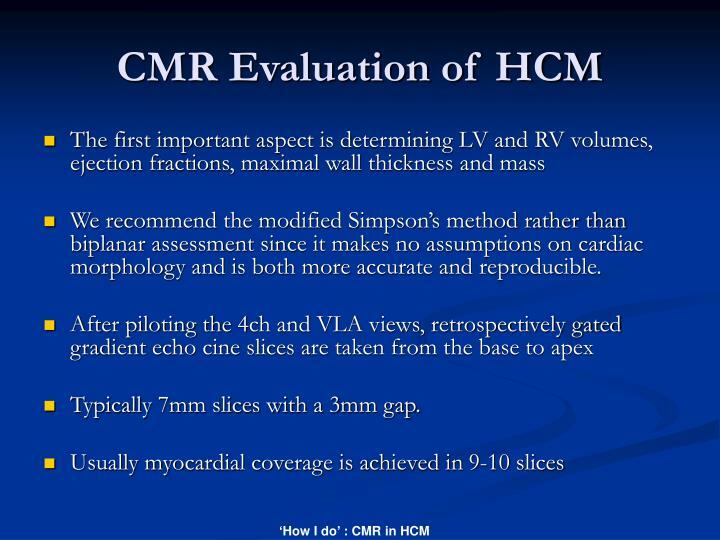 We recommend the modified Simpson’s method rather than biplanar assessment since it makes no assumptions on cardiac morphology and is both more accurate and reproducible. 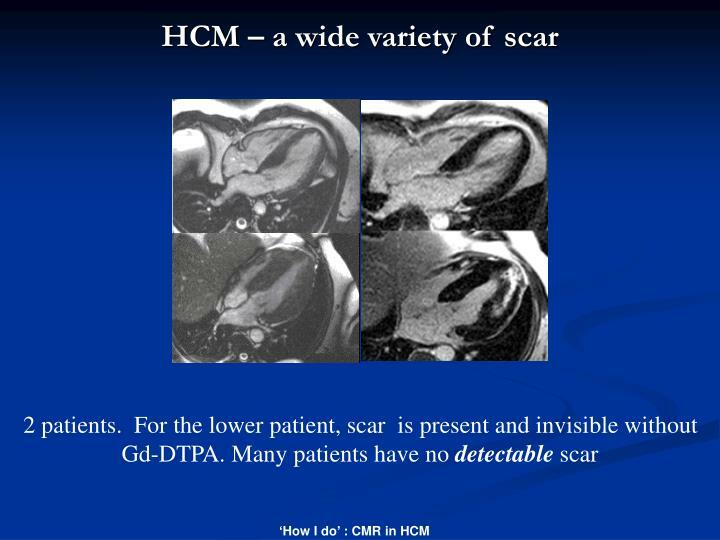 Typically 7mm slices with a 3mm gap. 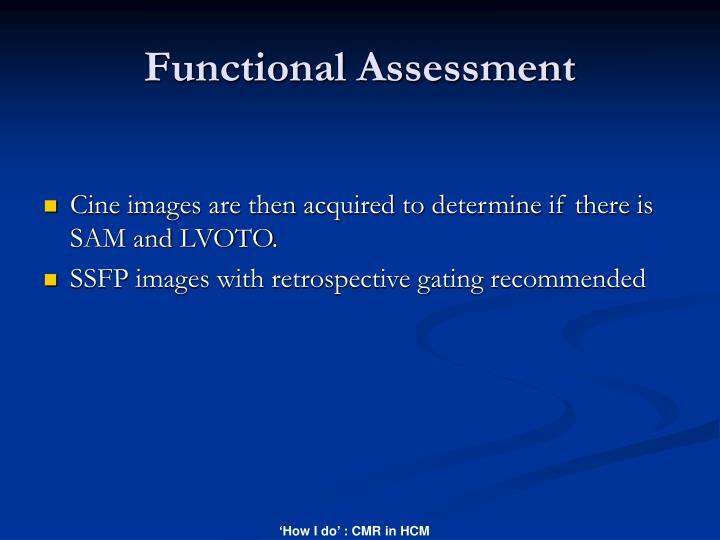 Cine images are then acquired to determine if there is SAM and LVOTO. 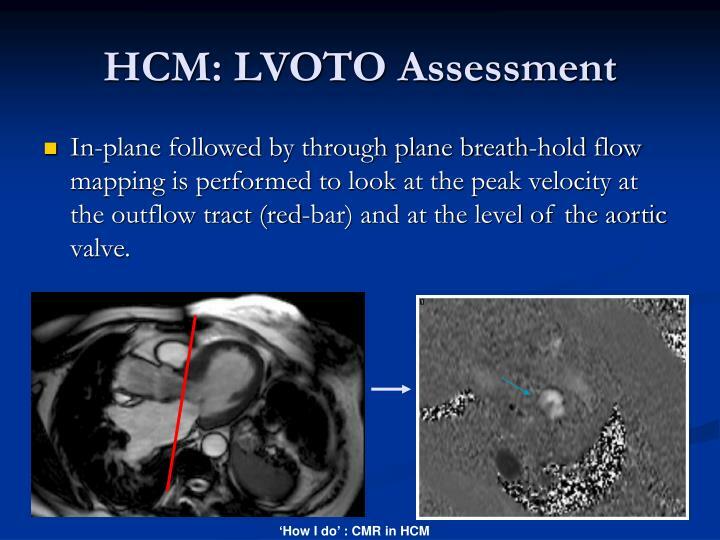 In-plane followed by through plane breath-hold flow mapping is performed to look at the peak velocity at the outflow tract (red-bar) and at the level of the aortic valve. 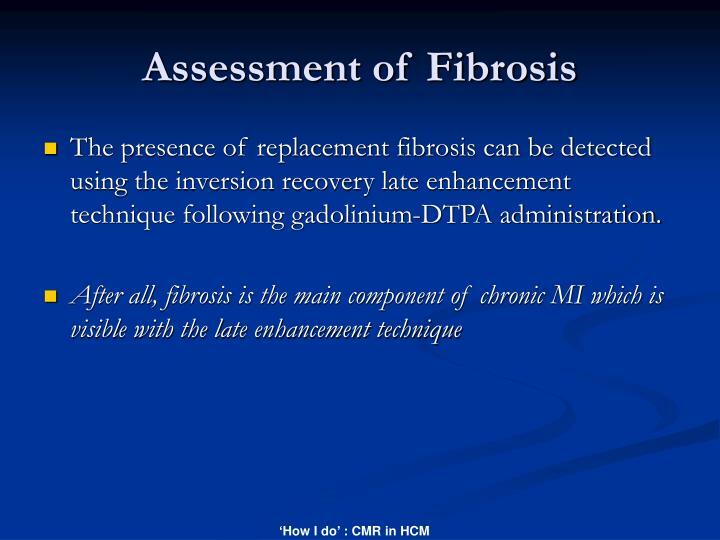 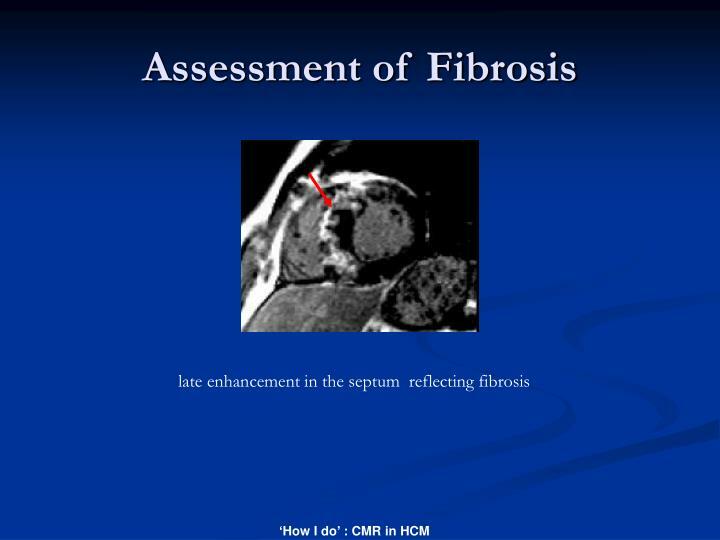 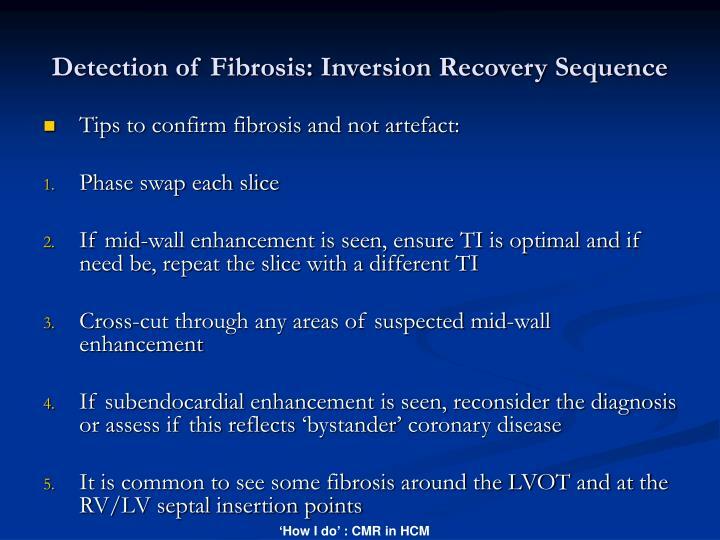 The presence of replacement fibrosis can be detected using the inversion recovery late enhancement technique following gadolinium-DTPA administration. 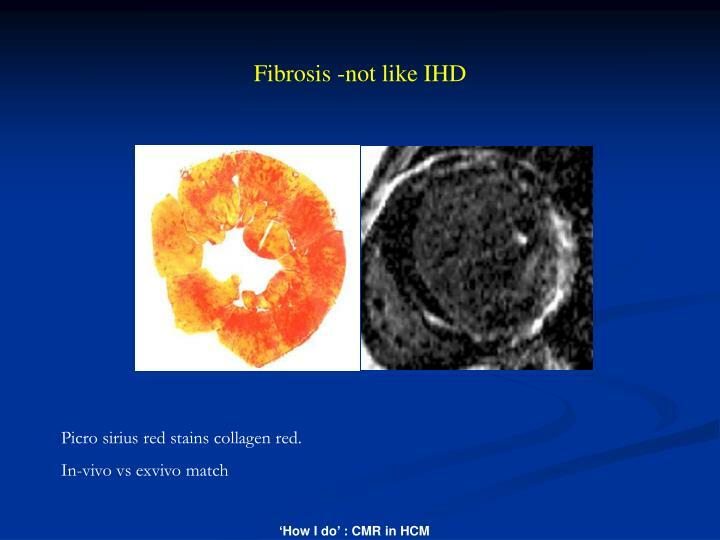 Picro sirius red stains collagen red. 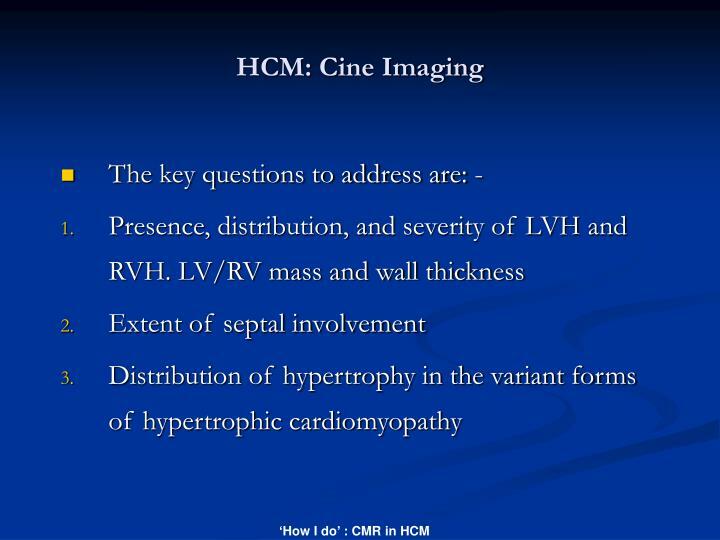 At 0.1mmol/kg, images are usually acquired after about 5 minutes with a TI starting at ~340ms (every other heart beat). 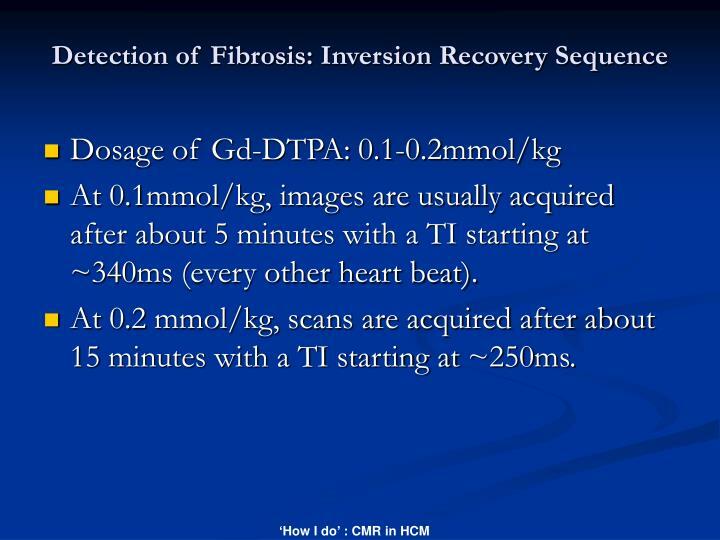 At 0.2 mmol/kg, scans are acquired after about 15 minutes with a TI starting at ~250ms. 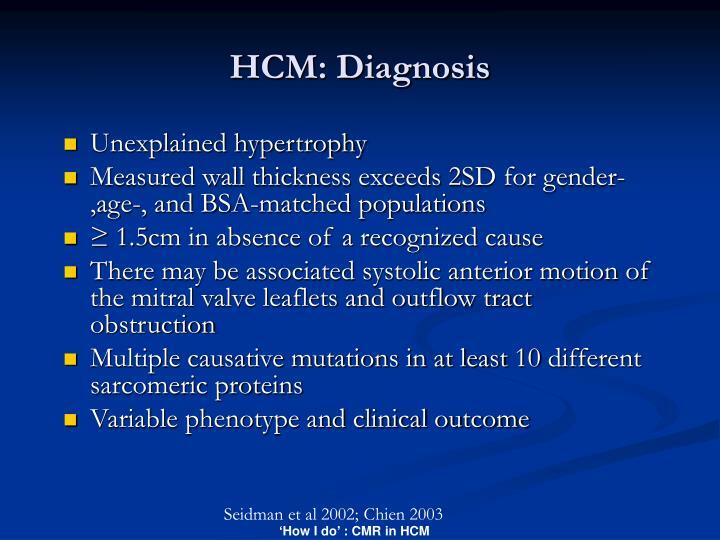 LGE is predominantly seen in a patchy distribution and correlates with wall thickness. 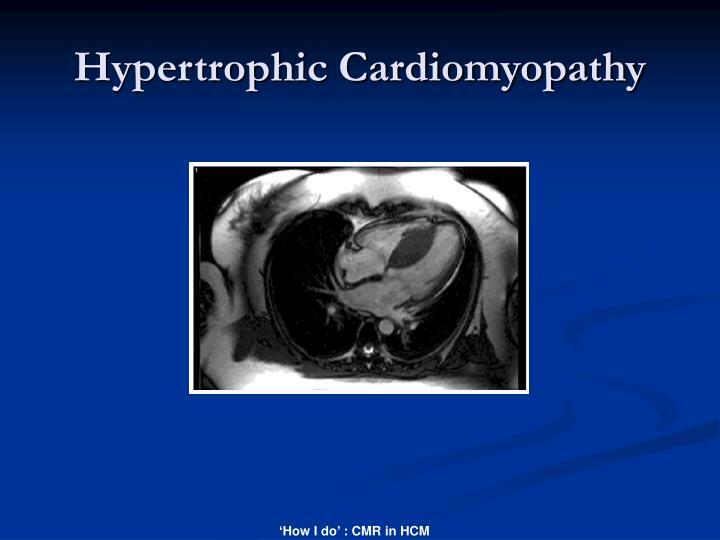 Unlike in IHD, the subendocardium is not necessarily affected. 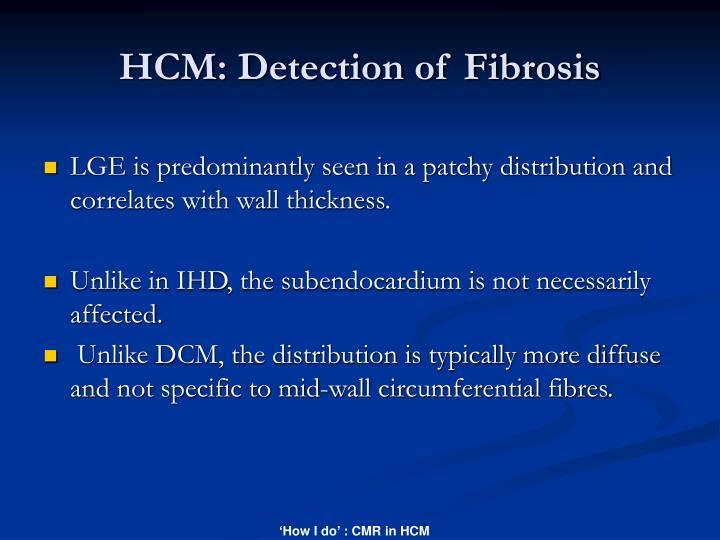 Unlike DCM, the distribution is typically more diffuse and not specific to mid-wall circumferential fibres. 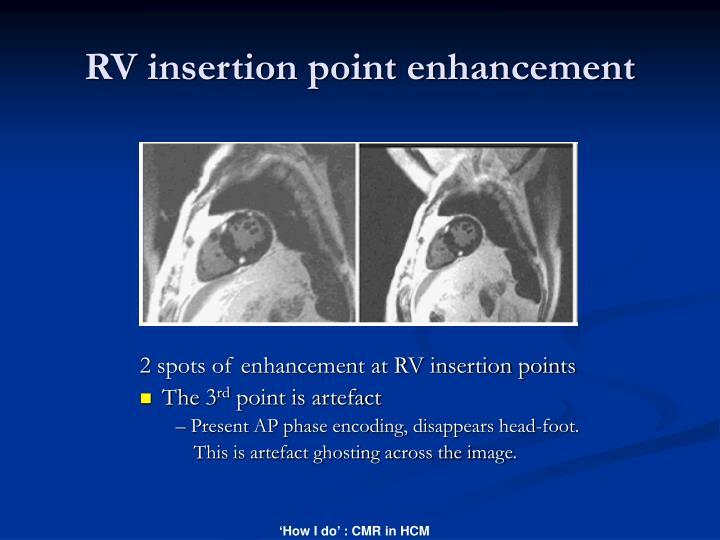 – Present AP phase encoding, disappears head-foot. 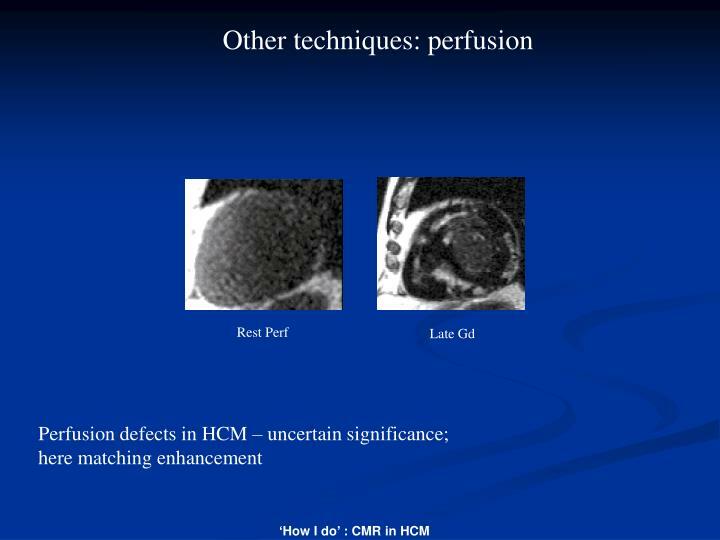 This is artefact ghosting across the image. 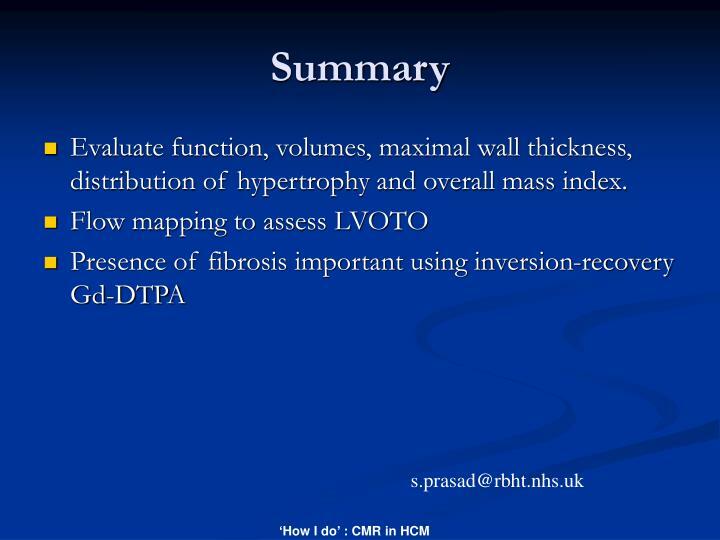 Evaluate function, volumes, maximal wall thickness, distribution of hypertrophy and overall mass index.